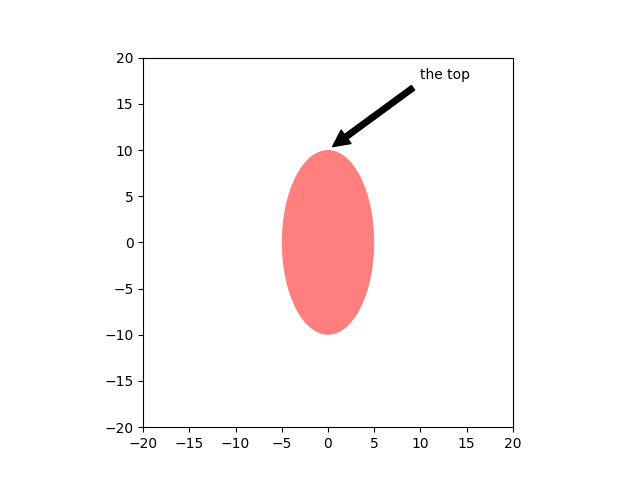 The following examples show how it is possible to annotate plots in matplotlib. This includes highlighting specific points of interest and using various visual tools to call attention to this point. 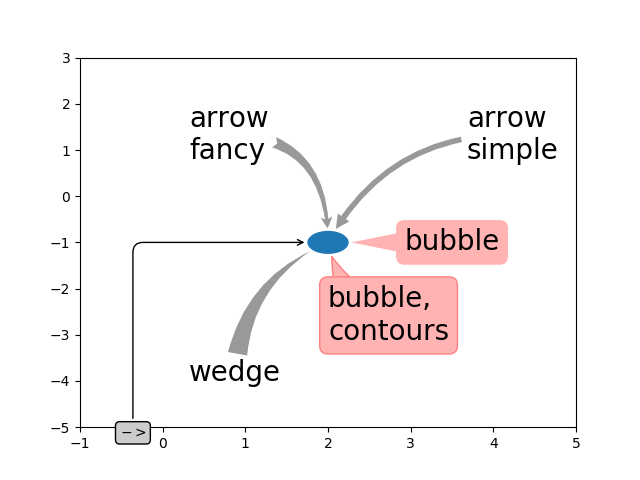 For a more complete and in-depth description of the annotation and text tools in matplotlib, see the tutorial on annotation. Note: for physical coordinate systems (points or pixels) the origin is the (bottom, left) of the figure or axes. # The following examples show off how these arrows are drawn. # You may also use negative points or pixels to specify from (right, top). You can specify the xypoint and the xytext in different positions and coordinate systems, and optionally turn on a connecting line and mark the point with a marker. 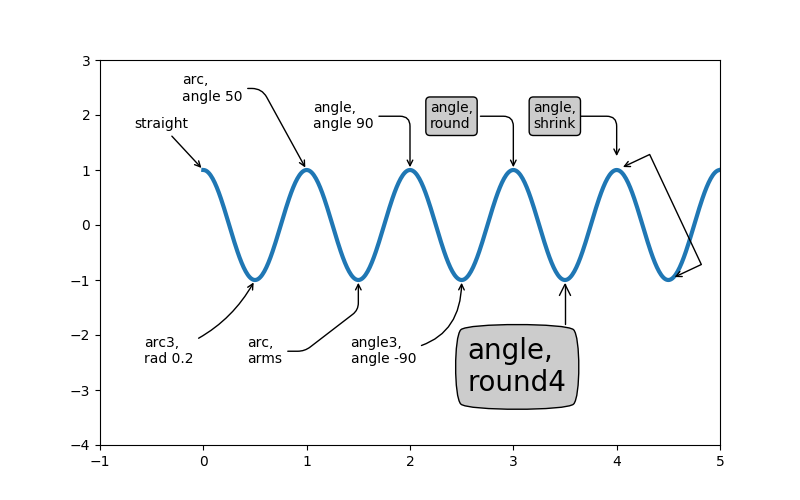 Annotations work on polar axes too. 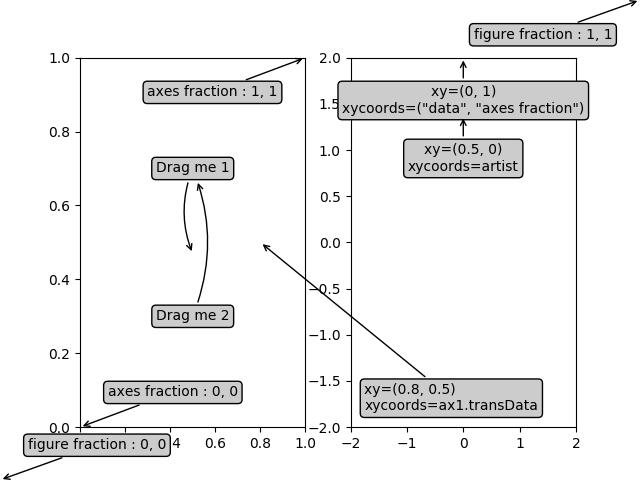 In the example below, the xy point is in native coordinates (xycoords defaults to ‘data’). For a polar axes, this is in (theta, radius) space. 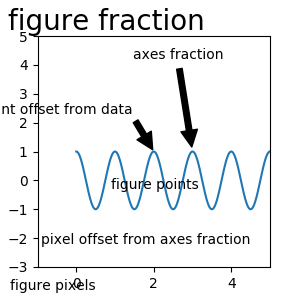 The text in the example is placed in the fractional figure coordinate system. Text keyword args like horizontal and vertical alignment are respected. # xycoords and textcoords as 'polar' if you want to use (theta, radius). The arrow between xytext and the annotation point, as well as the bubble that covers the annotation text, are highly customizable. Below are a few parameter options as well as their resulting output. 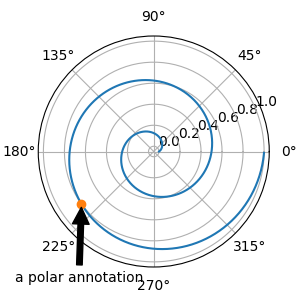 Below we’ll show a few more examples of coordinate systems and how the location of annotations may be specified. # we place annotating text.